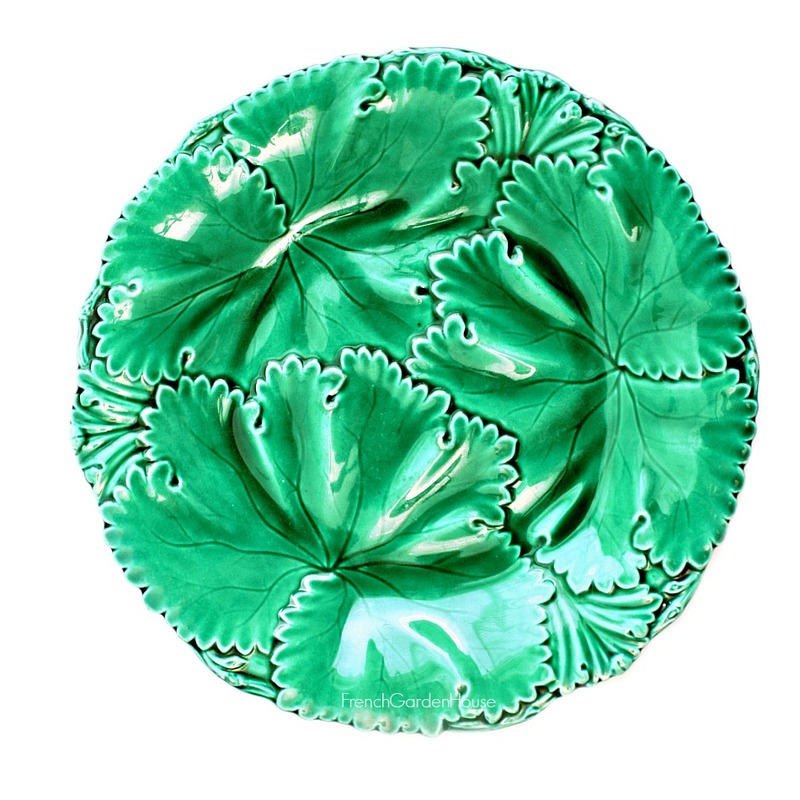 Exquisite Antique Collectible Majolica Greenware Dish with leaf pattern, produced by Copeland Garrett, England. 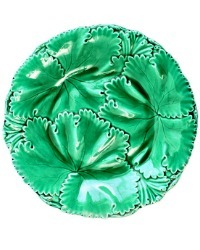 The Copeland & Garrett partnership was in existence between 1833-47, they produced high quality majolica. Their mark is found on the back, the plate has three stilt marks as shown. Fantastic fresh and bright color and country foliage design, a gorgeous representation of "L'art Vegetal" which was so favored during the 19th century, this design shows three overlapping leaves. Glossy lustrous glaze, what a stunning heirloom plate to display with your antique Majolica collection, or a luxurious gift for a fellow collector! 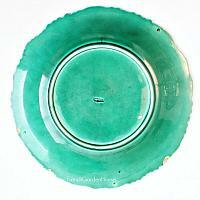 This plate is over 170 years old, there are a few back chips on the rim as shown that do not show in front.